Today I’m teaming up with one of my favourite e-tailers – FarFetch. Earlier this year they announced that they would be expandIng their site to sell beauty products and boy, they did not disappoint. With the likes of Eve Lom, Sunday Riley & Oskia, it’s a luxe beauty lovers dream hub. FarFetch have challenged me to reveal my beauty secrets to my readers. Being a beauty blogger, it’s a little bit difficult to have beauty secrets. You all know exactly what products I’m using and loving at the moment because I sure as hell will be telling you all about them. So instead of focusing on actual beauty products, today I’m going to be sharing beauty regime secrets that keep my skin looking healthy and how I’ve been prepping to go bare faced this summer. 1. Suncreen as primer – Generally I try not to use primer on a daily basis. The thought of layering products on my skin that will clog my pores just to keep my foundation in place scares me. Instead I replace it with a sunscreen with SPF 50. I started using it this way two years ago after coming back from Morocco and I swear by it. I use the clear spray, as I don’t like how the white creams leave a white/ashy tinge to my skin. I squirt a little bit of sunscreen on to the palm of my left hand and with my right hand I work it into my skin. Voila! Primer/sunscreen is applied within a few seconds. 2. Good things come to those who wait – You could be using some of the best products out on the market, however if you don’t let them soak into your skin properly you’re not going to see results. I now try to rise just a little bit earlier in the mornings so I can put on my moisturiser, then go get dressed before applying sunscreen. Next I have a little breakfast before getting started on my make up. 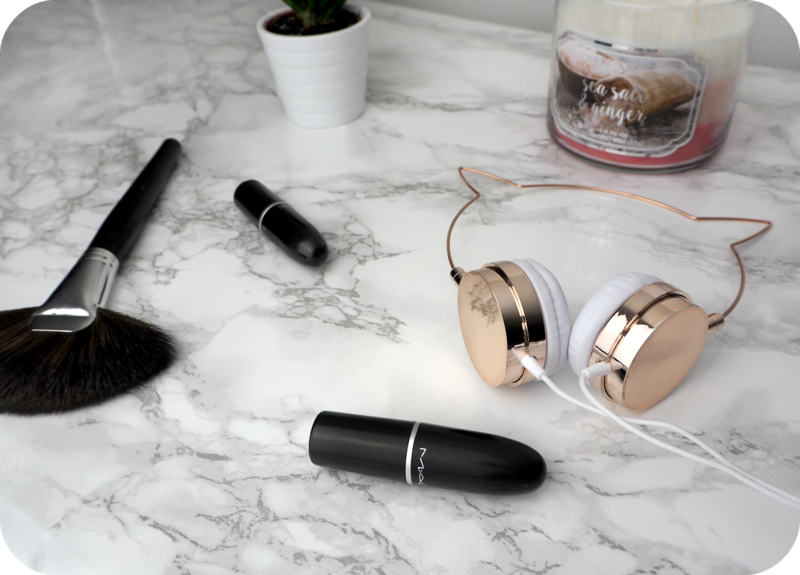 Investing a little time in your beauty regime is never a bad thing, plus if you’re not rushing around and actually doing things at at your own pace, your mornings are a lot less stressful! 3. Chemical free cleansing – Try to invest in a gentle cleanser. If you get overwhelmed by all the ingredients and are not sure which of your existing cleansers aren’t full of harmful chemicals then look out for the one that lathers the least. These are generally the best for cleaning out your pores without clogging them and getting rid of make-up and excess oils. The best cleansers don’t leave a residue behind either nor do they leave your skin feeling tight so you actually don’t even need a toner. Yep, I said it. No toner! 4. Invest in a dermaroller – If you’re not sure what a dermaroller is then stay tuned as I’ll be doing a post on it soon. In short though, it’s a small, hand sized roller full of needles that you roll across your face. I promise you it’s not a bad as it sounds! These tiny needles help puncture your skin ever so slightly so that all your lovely products can penetrate further into your skin. If you get it done professionally, it can cost an arm and a leg but it’s actually quite safe and easy to do at home too. 5. Retinoids – Products with Retin-A are game changers or should I say skin changers, because they actually do change the way your skin behaves. In the long run retinoids help to improve the skin’s texture and helps prevent wrinkles so it’s definitely something to invest in. So there you have it, 5 of my little secrets that help to keep my skin looking radiant and youthful, all ready for the warmer weather. Check out FarFetch’s beauty page for some amazing products, including gentle cleansers and retinoids. Share your beauty secret with me?